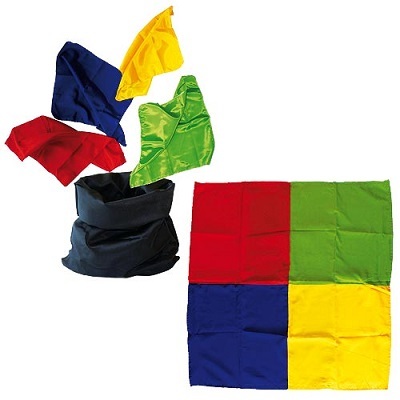 The magician shows four different colored silks, and puts them, one at a time, inside a black bag. Instantly, just by shaking the bag, it will change into a beautiful giant multicolored silk. All the silks will have “fused” together changing into a super blendo. The large silk measures cm 73 x 73. The smaller ones cm 33.